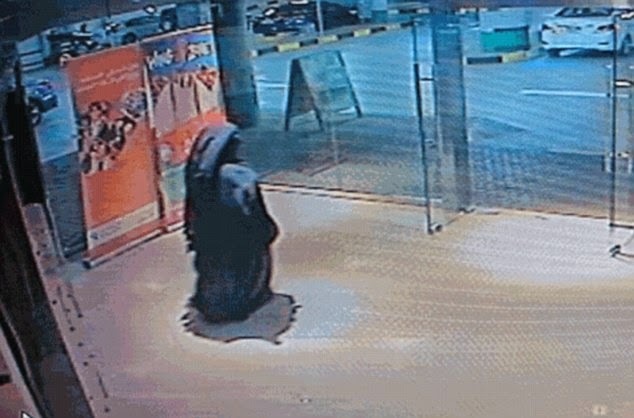 A murder investigation has been launched after an American mother was stabbed to death during a clash with a burqa-clad 'woman' in shopping mall toilets in Abu Dhabi. She was taken to be treated at Sheikh Khalifa Medical City but died later from her injuries in the incident on Monday afternoon. The victim - who is divorced from the father of the twins - has not been identified. Her initials are only known as ABR. I bet the fight was over cutting in line in the bathroom, why do women insist on pushing their way through instead of standing in line like people with manners?